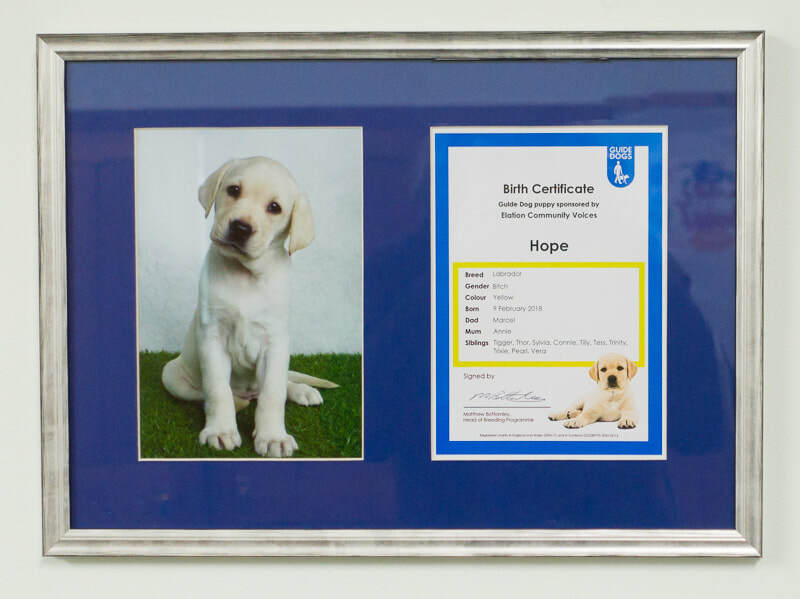 In 2017 our members chose to try to raise £2,500 to name a Guide Dog puppy. As two of our choir members have Guide Dogs, we have seen for ourselves what a difference these dogs can make to someone's life. 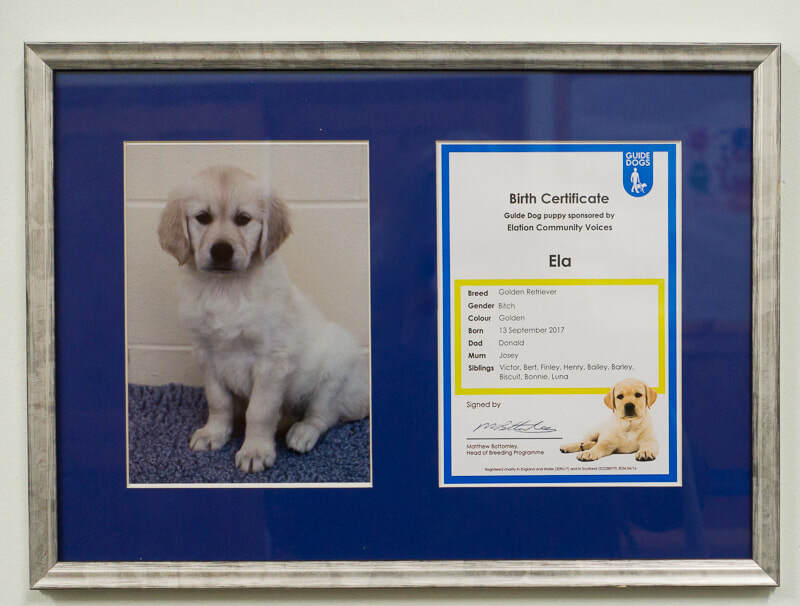 By the end of the year, we had raised enough to name and sponsor three little life changing dogs for Guide Dogs. We exceeded well over our initial target of £2500 and made a grand total of £7500! 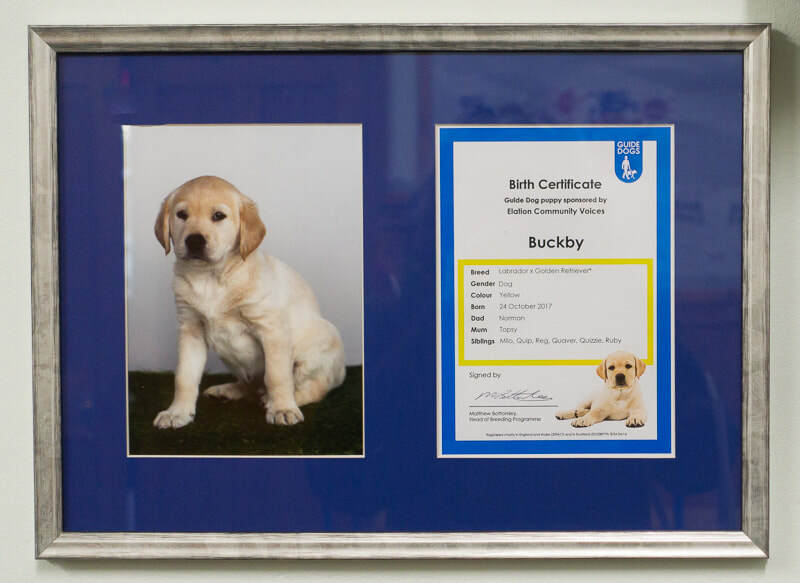 Our three sponsored guide dog puppies are called Ela, Buckby and Hope. ​We thank you all for your support and generosity. Guide Dogs was started in 1931 - over 85 years ago - by 2 women and 4 dogs in the UK. They had seen dogs guiding blinded servicemen in Germany and the US and thought it would help the servicemen in the UK who had been blinded in WW1. Today there are over 5000 partnerships in the UK and each costs £54,500 to support from birth to retirement. Guide Dogs relies entirely on donations as it is not government funded and provides so much more than Guide Dogs. The National Breeding Centre controls the quality and health of the puppies and it is here that all puppies will go to be health checked before they go out to the volunteer puppy walkers to begin their journey. It takes 2 years to complete their training. For more information see www.guidedogs.org.uk.